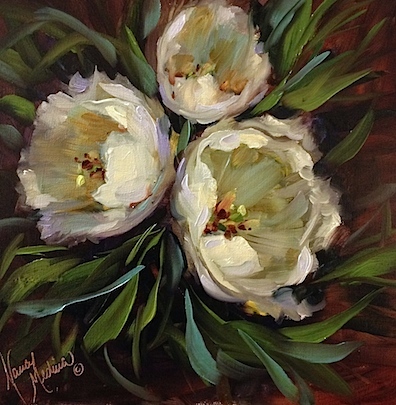 Ribbons in the Sky White Tulips is the newest daily painting in Flower Mound Studio, based on the tulips of the Dallas Arboretum. 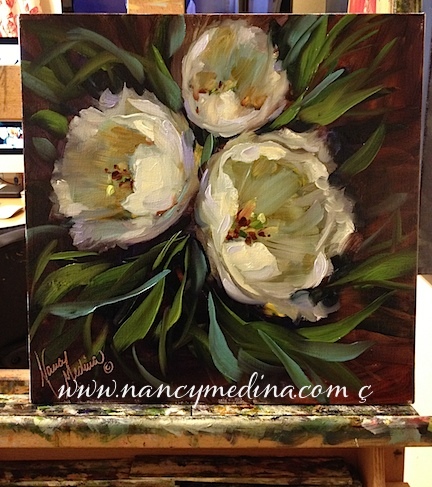 I love painting white flowers. 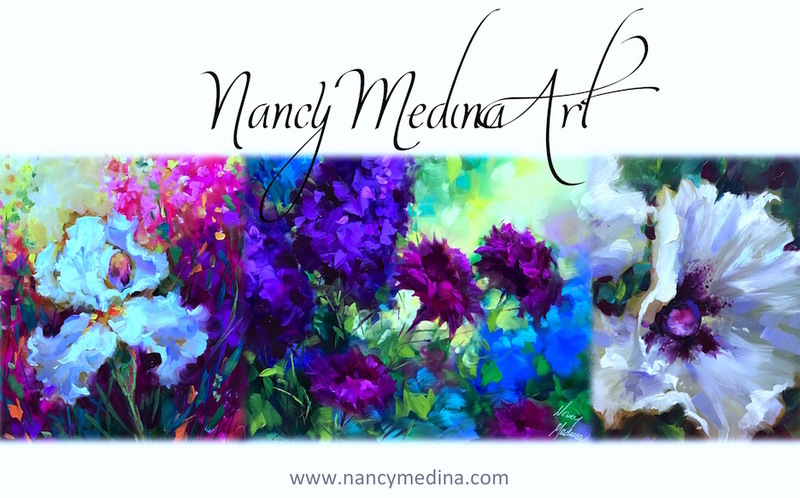 There are so many colors in white, purples, greens, yellows, blues. In color theory class at university, our final exam was a still life of all white objects. The professor brought in about 100 items and placed them on a huge table in the center of the room. He felt that if one could master white, this showed the student had mastered value. I remember week after week of value paintings and monochromatic studies. 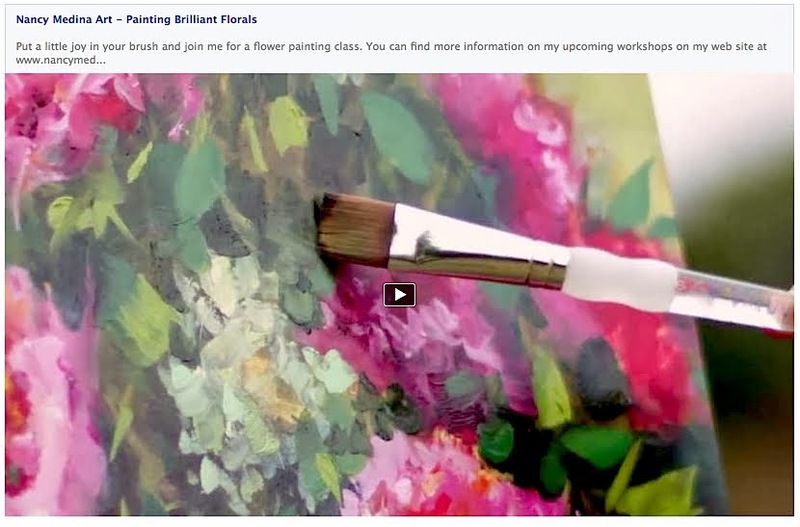 I still believe that the best education you can get in art (in addition to Art History) is through Color Theory 101. You can pick up a used Color Theory college textbook on Amazon or at Half Price Books and take advantage of the lessons. The exercises may seem tedious, but the reward is a stronger foundation in the understanding of color.